This is a weekly meme where we talk about the books that arrived in our mailbox the past week, or books we borrowed at the library, bought etc. The meme is hosted by The Story Siren. The past week I got some great books. 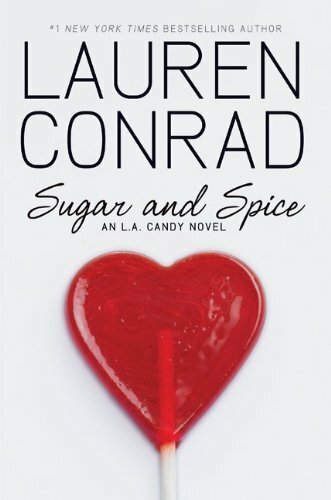 The L.A Candy series is loosely based on the author's life and details the life of a young woman who moves to Los Angeles and becomes the star of a reality show on TV. I am looking forward to reading these books, and I love the covers. I must be one of the few persons on this planet, who have not read anything by J.K. Rowling yet. So, I decided to do something about it. I also needed to have book 3 in the Gone - series. I recently read the first book in the series, and loved it. The Immortal - series by Alyson Noel is one of my favorites, but since I am buying the books from the UK I have not read "Dark Flame" yet. "Torment" was a great read. I reviewed the book on my blog based on a manuscript I received from the publisher, but I wanted to have my own copy of the book as well. "Wildthorn" is a book I have heard great things about, so I wanted to buy it. And the cover is gorgeous. Now, I only need to find more reading time. I wish I could spend a whole week just reading books. That would be like heaven. PS: I also reached 300 followers the past week. That is amazing. I need to celebrate that the next week. More information will be posted soon. Oh Harry Potter! You will love it! I actually am rereading the first book right now for my Children's Lit class.. its so wonderful. I am glad you liked Torment too, I have to go pick it up from the library today - its on my hold-shelf. I'm one of the few people who haven't finished the Harry Potter series too... I still have two books to go. I do love them though, and I'm sure you will too! Harry Potter is the best fantasy I have read ! I am sure you will love it. I am a new follower here. Dark Flame is good - I just read it. Also, I haven't read LC's books yet, but they're on my TBR. Enjoy!